Trying to choose a favourite genre would be like asking me to choose a favourite dessert (I have a sweet tooth). 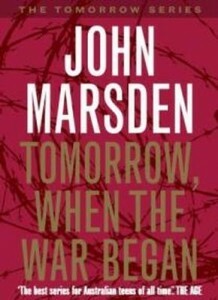 When it comes to books I have a restless mind, so I read widely. I love so many different genres for different reasons. I love to laugh and cry and sigh and have my heart race and feel terror and desperation and longing and wistfulness all those things – these are the joys of sitting in another’s shoes through books. I love picture books that are playful and yet still full of heart – Oliver Jeffers has to be my favourite creator, with books like How to Catch a Star and The Book Eating Boy. 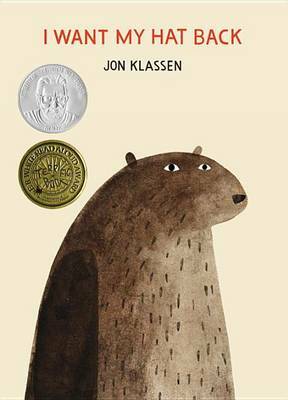 I love picture books that make me laugh (Mo Willems Don’t Let the Pigeon Drive the Bus‘) and ones that make me cry (Margaret Wild’s and Ron Brooks’ Fox). 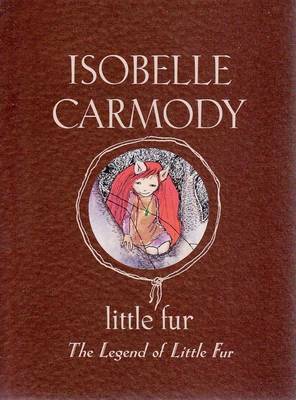 I love fantasy novels for younger readers like Isobelle Carmody’s Little Fur series. And I adore young adult books: my recent favourite is Glenda Millard’s stunning A Small Free Kiss in the Dark. I can’t read while I’m writing a new story, so at the moment I have two novels waiting as rewards on my bookshelf for the day I finish: A Monster Calls by Patrick Ness and Sea Hearts by Margo Lanagan. The day I first open their pages, I will disappear into them and not emerge for several days . . .
As an early teen, my mum started work quite early in the morning so I was often the first at school. I quickly learnt the only building open was the library, and would sit amongst the book shelves and pull down whatever looked interesting. I read everything from literary novels to thrillers, but my favourite quickly became fantasy. 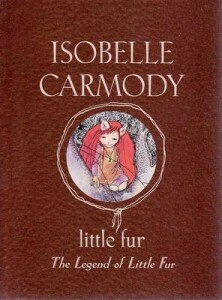 I fell completely in love with Isobelle Carmody’s stories (starting with the Obernewtyn Chronicles). I also enjoyed real world teen novel with a twist – I adored John Marsden’s Tomorrow When the War Began‘ series. Plus, I liked things that were a bit strange and just a teensy bit dark, like the artwork of Brian Froud (who has put out several books). An intriguing main character. A situation looked at differently. Heart. Anything by Neil Gaiman perfectly captures this – favourite of mine being The Graveyard Book and Stardust. Also The Knife of Never Letting Go by Patrick Ness – such a fascinating concept and at times absolutely heart stopping. Let them choose their books. And take them to the library – that way they can experiment with what kind of books they like, and then in bookstores they’ll start to get more confident with knowing which section will hold their favourite books. – I Want My Hat Back by Jon Klassen. 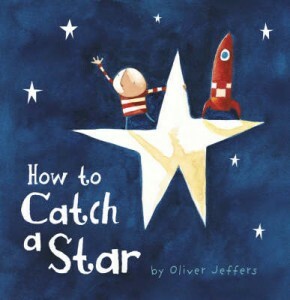 So clever and so cheeky! – The Book Thief by Markus Zusak. Such stunning writing and I fell in love with each and every character. Oh . . . and boy did I cry. – Surrender by Sonya Hartnett. Dark but beautiful. 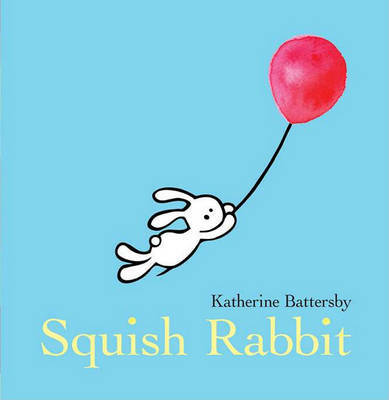 Katherine Battersby is the critically acclaimed children’s author and illustrator of Squish Rabbit, which was shortlisted for the 2012 Crichton Award and was released in Australia, the US, China and other countries. 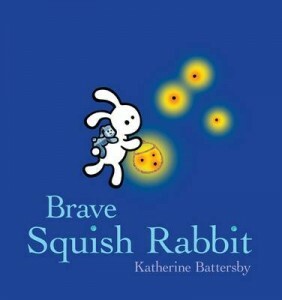 Her second picture book, Brave Squish Rabbit, came out in September, and she has had many short stories published in magazines and anthologies. She adores reading, rabbits and anime, and thinks exclamation marks are evil.